The Court of Arbitration for Sport has dismissed an appeal by 47 Russian athletes and coaches against a ban on participation in the Winter Olympics. The Russians had argued that they had been wrongfully excluded from the Games by the International Olympic Committee. Russian Deputy Prime Minister Vitaly Mutko said the decision was understandable but disappointing. It comes amid a long-running row over Russian doping which has seen the country banned from the games. However 169 Russians will compete as independents. The CAS decision was made just hours before Friday's opening ceremony. Mr Mutko, a former sports minister who has himself been banned for life from the Olympics, said there would be a competition in Russia for the banned athletes instead. "It is difficult for CAS to take a decision in the light of previous pressure. If they had allowed [the invitations] it would have been a shock," he said. The group contesting the decision included 28 athletes who had life bans from the Olympics lifted by the IOC last week, when CAS ruled there was insufficient evidence they had benefited from a system of state-sponsored doping. In the aftermath of that decision, the IOC decided not to extend an invitation to those with overturned bans - saying the decision "had not lifted the suspicion of doping". That led to a last-minute appeal for entry on Wednesday and Thursday. But in its decision to uphold the ban on entry to the Pyeongchang Games, the CAS panel did not find that the IOC process was "discriminatory, arbitrary or unfair". As a result, none of the affected athletes will compete in the 2018 Winter Olympics, which run from 9 to 25 February in South Korea. The 169 sportspeople who have been invited to attend will compete under the banner of "Olympic athletes from Russia" and will fly the Olympic flag rather than the Russian one. If they win any medals, the Olympic anthem will be played. The ban on Russia was handed down after an investigation into state-sponsored doping during the 2014 Winter Olympics, which were held in Sochi in Russia. 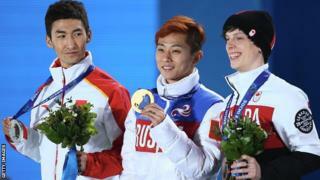 Winter Olympics 2018: Will Pyeongchang be too cold for a Winter Games?